Daren's passion for the benifical properties of plants led him to cacao and he has been making chocolates ever since. He is always experimenting, there is always something new happening in his kitchen. He is a graduate of the Oregon Culinary Institute and is a self taught chocolate maker. Stirs the SOUL chocolates have been called both sinfully divine and decadent. After many years of dedicated trial and error Daren became a master of his craft. Proprietary techniques are employed to coax out the best flavor and aroma as an alternative to commercial roasting. Our expertly sourced 100% unroasted criollo and trinitario cacao is stoneground in small batches. Very special care is taken to insure that our chocolates are minimally processed. We delicately temper each micro batch to create a shiny, snappy, melt in your mouth chocolate experience. 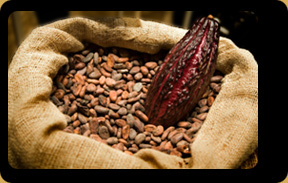 Our promise to you is that Stirs the SOUL Chocoloates are always organic, sustainable, and allergy compassionate. Our facily is nut, tree-nut(except coconut), soy, gluten, egg and dairy free. We have different sweetener options sutiable for paleo, vegans and individuals with various food sensitivities. You can find our chocolate in food coops, natural and health food stores throughout the country. Stirs the SOUL is a family business. We have moved from SE Portland to Monmouth, Oregon to be closer to nature. Much of our time is spent in our home based commercial kirchen so being able to step outside and be surrounded by BLISS is well worth the move. We are loving our new space and place, chocolate is sensitive to energy and our new place is full of it. We do have off hours at times and frequently step out to deliver products and attend festivals so if you are looking to reach us please leave a phone message or email us.